Special thanks to Bob McArdle (@bobmcardle) for writing all the transforms! 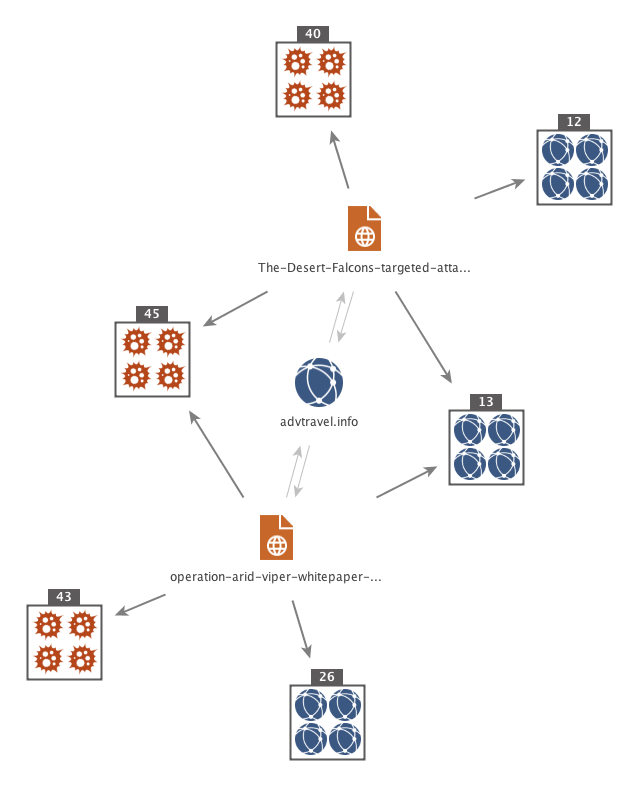 Maltego has long been a favoured tool of threat intelligence analysts and researchers for searching, linking and pivoting on data - and we wanted to open up ThreatMiners data in the same way. Installing the ThreatMiner transforms could not be easier, you can simply install them directly from the Maltego Transform Hub. The transforms are all designed to make the ThreatMiner data as easy to pivot through as possible, but we also wanted them to integrate seemlessly with other popular free and paid transforms you may be using. With that in mind, a short note on entities used. A big thanks to Steven, Keith, Brandon and Steve for permission to use those. You notice some odd traffic on your network going to Advtravel[.]info. from ThreatMiner data, other public sources, and your own internal sources. As normal, while care was taken not to have bugs in our code and the transforms where heavily tested ... there almost certainly is bugs we have not found (its code after all). For any bugs found, or feature requests please email at threatminermaltegotransforms [at] gmail.com.